Over the last few decades CRM (Customer Relationship Mgmt) software has evolved from basic call-centers and contact trackers to a vastly more expansive suite of customer-engaging capabilities. Moreover, as the cost of acquiring new customers continues to rise, new lower-cost-to-implement technologies like online ‘Chat’ are leading the way to help turn your website ‘looky-loos’ into solid sales leads. According to one lead- management vendor expert, Chatbots (short for Chat robots) are at the front lines in the battle for first contact messaging software dominance, and it’s just beginning. Why? Everyone knows you have but one chance to make a good first impression. Today they say, “a gap still exists between a well-designed website and human connection” that’s needed to engage new customers when they first appear on your landing page online. Moreover, adds an analyst at Gartner research firm: “Conversational marketing will be a recognized channel of B2B and B2C customer engagement and revenue by 2020, displacing a combination of marketing, sales and service activities.” So, does your company need an online ‘first contact’ Chat feature? What is on-line Chat and Why is it Important for business? Ever go to a website using your desktop or mobile phone and notice a small (often oval shaped) CHAT- button suddenly appear on the right-hand side of your screen? That’s a “first contact.” And if you click on that button a message box will pop open and a smiling sales representative image with a headset on will ask you how your day is going. That’s Chat. The significance of that first customer touch point online can no longer be taken for granted. “Mr. Watson, come here, I want to see you.” That was March 10, 1876, Alexander Graham Bell’s first words spoken into his new land-line invention he called the telegraph. He would later add: “the day is coming when telegraph [phone] wires will be laid on to houses just like water and gas — and friends will converse with each other without leaving home.” Without leaving home? Amazing! But what’s also amazing is how much his invention has so suddenly (in the last 5-10 years) become itself outdated, displaced not so much by technology, but rather because speaking to another human, especially those you don’t know is now a complete turn-off. And the reasons are simple. It’s all about texting. The once favored Bell telephone and all its comm-cousins including email, voicemail, online forms, and even the original face-to-face communications of old are each no longer the preferred first choice to make first contact with your business online anymore, mostly because all these methods are either painfully slow, or too invasive & solicitous for a first-time visitor simply browsing your website. Nothing worse than jumping through hoops just to get a straight answer to a simple question, right? Enter the new frontier of CRM Lead Management: The Chat Wars? As Lead Management tools grow more critical to increasing online sales each year, it’s the Chatbots that are fighting it out on the front lines. Battles between nascent newcomers and more established Chat software providers are heating up. Each sees the pot of gold waiting for the winner. At the heart of it are two competing Chat business models ‘duking it out’ for your marketing dollars. The first is A.I. (Artificial Intelligence,) like IBM’s Watson computer which recently used A.I. to beat a legendary Jeopardy champion hands-down on the famous tv gameshow for brainiacs. The real victory for Watson’s designers wasn’t just getting the right answer as fast as possible, it was understanding the question. Same goes for Chat. The key success factor is learning how to understand and communicate with humans online who use slang, broken sentences, mixed intonations, and many unique language idioms and fact patterns that matter most. So, is it hard to be a human and get good service online after all? The big downside is when a prospective online customer senses a computer at the other end, gets frustrated and goes to your competitor. Older Chatbots were simple Q&A based pre-written scripts. Sometimes they worked well, and gathered good leads, other times they failed miserably and lost potential new customers. More recently, however, A.I. has really stepped up its game by quickly using machine learning algorithms to learn how to best communicate like a human, hence the Chat wars. 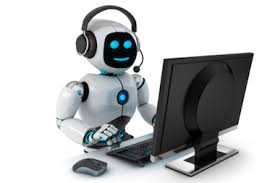 The second option, which is also an outsourced solution is also a Chabot, but the Chatbot uses real humans in a live Chat session. This is highly preferred but also expensive with industry hacks hired by call centers to engage new customers via Chat and phone. Implementing live Chat in-house means someone has to be available 24/7 to respond immediately. It’s the old debate, human v. computer, which begs the question: Is a live Chat message response from India as good as a computer-generated A.I. response? Both can be devastating to your sales conversions if the customer gets frustrated either way. A few years ago, I would have said to go with a live Chat operator “hands down,” but not today. Today A.I. is super-close to the real thing, and a lot cheaper 24/7, but it all depends on what you’re selling, and how much online traffic you generate. The key metric to track with either method is “response times,” aka how quickly you engage a potential new customer online. At the close of business for the 2018 Holiday season, online sales grew by more than 17%, topping $122 billion according to Digital Commerce.com an e-commerce data- tracking firm. Furthermore, Forbes predicts total “global e-commerce retail sales to increase to $4.1 trillion by 2020 from $2.8 trillion in 2018.” The growth is mostly due to increasing global use of the internet and mobile technology devices. As online sales continue to grow, your website is quickly becoming the first stop for new customers who haven’t made up their minds yet. And if your response times to each online prospect visitor is slower than your best competitor, guess who’s going to close the deal? In a study of 433 software providers online conducted by Drift.com a Chatbot software developer, they filled out 433 online contact forms and/or clicked on the Chatbot (if available) hoping for an immediate response. What they found was only 7% responded inside 5 minutes, which is the wait-time threshold they argue for most customers before they move on, and 55% of the study took 5 days or more to respond. Yikes! This proves that online forms and email newsletter subscriptions are outdated, and don’t work well enough to compete for the new “need for speed” in the lead management world. So, what does it cost to get this level of first-contact engagement you ask? Depending on the size of your company and your Chat-specific needs these programs can be very affordable. For smaller more simple-product companies including professional services firms, like lawyers, dentists, and even financial advisors, the monthly fees range from Free (personal use) to $1500/month or more depending on which Chat features you include in your monthly package. Larger companies and those with more complex product configurations should look to pay more. The deeper you require a Chat operator to learn your business in order to become an effective first contact representative, the more expensive your Chat provider will cost you. But it may be well worth it if you’re selling big ticket items. Click over to CrazyEgg.com, a website optimization-tool vendor, for more specifics on the top 10 Chat software providers and their pricing. While most of the leading Chatbot providers can also integrate with your back-end CRM systems, front end functionality may come first. I suggest you make a list of your first-contact business requirements and how Chat software and its tracking features can best work for your company. Then when you’re ready, click over to software industry reviewer G2Crowd.com Chatbot reviews. They looked over several of the leaders in the Chatbot conversational software universe and ranked them by several functionality metrics. This list is a good first stop before jumping into a demo or free trial offer. And that can be like having your own doorman at the Fairmont.